The world is evolving at its fastest pace in history as we embrace the digital and urban revolutions. The work environment is adapting to this change as social and emotional learning is becoming more paramount for effective interaction. However, education systems historically lag behind in teaching these social and emotional learning standards and instead focus on rules, concepts, and metrics. So, why wouldn’t our classrooms emphasize social and emotional learning and its vital role in shaping future generations? Canadian start-up Peekapak may very well have the answer. But what do I mean by social and emotional learning exactly? Why and how should educators support it and its importance with their students? From the earliest days of humanity, our brains have been designed to focus on our survival as a species. To do this, learning how to communicate with others has been essential. This has been crucial for humans to adapt and interact with others. Fast forward from when humans were communicating to find food or safety to today’s digital age where communication is a necessity not only for these things but human interaction and socialization as well. Personal competencies such as self-awareness, self-regulation, and motivation are learned skills. Similar to our social competence (how we handle these things), our empathy and social skills play vital roles not only in the workplace but in the classroom as well. I had the opportunity to interview Ami Shah, CEO, and Co-Founder of Peekapak. She discussed not only what her company is doing to evolve social and emotional learning in classrooms. Ami also describes how they also provide listening, collaborating and cooperating skills through their game-based learning, hands-on curriculum, and interactive stories. In part 2 of this story, I will introduce the perspective of educators and parents on the platform’s value. Also, we will discuss how it is positively impacting the lives of students. John R. Miles: Where did the idea for Peekapak Originally Come From? Ami Shah: I started the company with my best friend from childhood, Angie Chan. Our relationship is a close one. We lived together, traveled together, vacationed together. Angie was living in Hong Kong at the time and writing her first children’s book. Through this experience, we thought there was a way we could do something for childhood learning through storytelling. We started as a kick-starter campaign. After getting some early traction, we were accepted into Imagine K12, which is the Y Combinator’s EdTech Vertical and we ended up pivoting into education technology to scale our impact. JM: What was the Experience Like at Imagine K12? AS: It was an amazing learning experience. 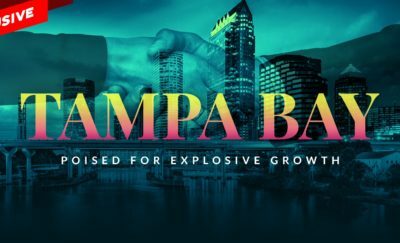 We were able to receive investment and receive guidance from experienced Silicon Valley tech leaders. We learned how to not only present to investors but how to develop products in collaboration with educators. Overall, it was great coaching and support from the mentors and being a part of the cohort, we learned a lot from the other companies. JM: What is the Premise Behind Peekapak? AS: Our core focus is on building social-emotional learning. Key tenants include topics like how to show empathy, working with others, being a good example for society. Angie (our Co-Founder) and I wanted to help children not only get their first job but also learn how to be model citizens. It is important to understand that social-emotional learning often does not get taught in schools. Our platform is designed to build these skill sets through game-based personalized learning, classroom lessons, and original stories. Our goal is to help educators teach their students through easy-to-use, standards-aligned tools that make social-emotional skills fun, engaging and effective. Students get to practice the skills and be imaginative and creative. Immersive. Most of our students are 4 to 10 in age. For context, our books have 4 different levels of reading, so we can personalize the reading to the appropriate level of the child. JM: How do Schools Utilize your Social and Emotional Learning in their programs? AS: Peekapak incorporates literacy, read-aloud sessions, group discussions and visual recognition of others’ emotional states. These activities and the stories relating to them were designed using evidence-based practices and have been researched in districts, schools and after-school programs. Activities also support educators and families in developing approaches to support a young child’s social-emotional skills and further their own understanding of these principles. Peekapak offers a personalized, game-based learning environment, where students can learn independently in class, or at home. Also, students are able to create an avatar that best represents themselves. Students interact with Peekapak’s characters through a series of literacy-based games and activities. Check-in’s on their emotional state provide data to educators in order to support students. JM: Who are Peekapak’s Customers? AS: We reach over 200,000 educators and students mostly in the United States. This includes districts such as Denver Public Schools, Elizabeth Public Schools, and Tulare County Board of Education’s library system. JM: How do you expand the business? AS: To date, we have met prospective clients through educational conferences, word of mouth and referrals. In 2019, we will scale our reach with two new partnerships with publishers that will help us reach every school and district across North America. 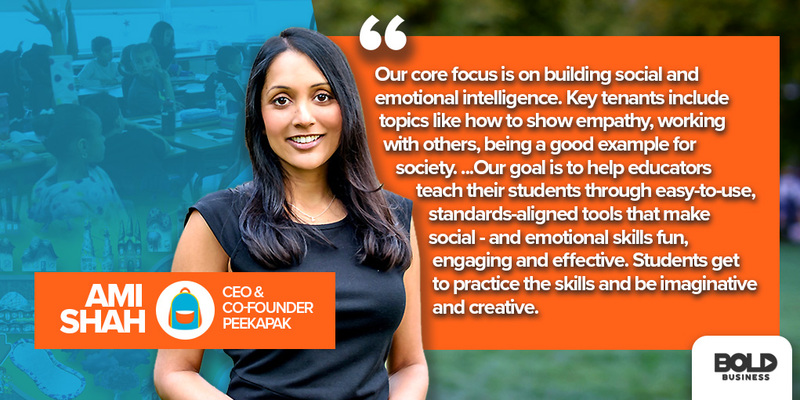 JM: What is the Bold Idea Behind Peekapak and its Impact on Social-Emotional Learning? AS: We want to impact as many children as possible and teach them these important social and emotional learning standards. Jobs are changing and these invaluable skills are important to prepare the next generation for the jobs which require much more interpersonal interaction. The numbers on mental health issues are alarming. Over 460 million people globally are experiencing issues and it is on the rise. We are trying to prepare students so they are resilient, able to cope and able to overcome adversity. JM: How Does a Student or Educator Access Peekapak? 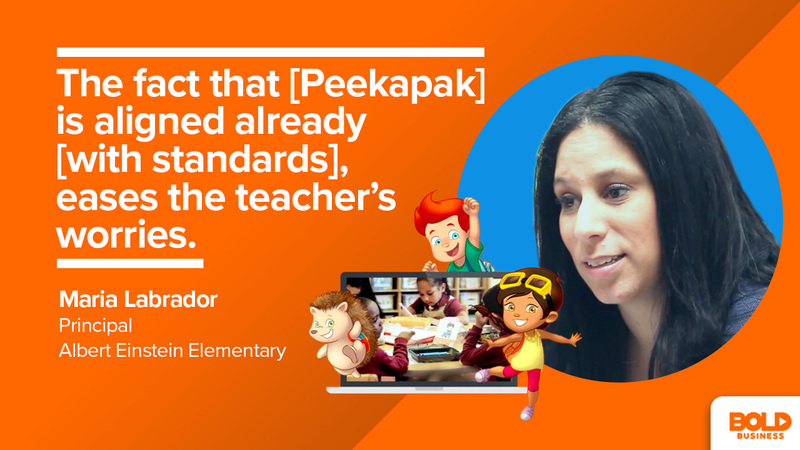 AS: Teachers can access our program by visiting peekapak.com and start with a free account that gives them access to all of Peekapak’s stories on topics such as Self-Regulation and Empathy. Additionally, for teachers who want to bring the full curriculum to their classroom, school or district, we have different subscription levels they can purchase. 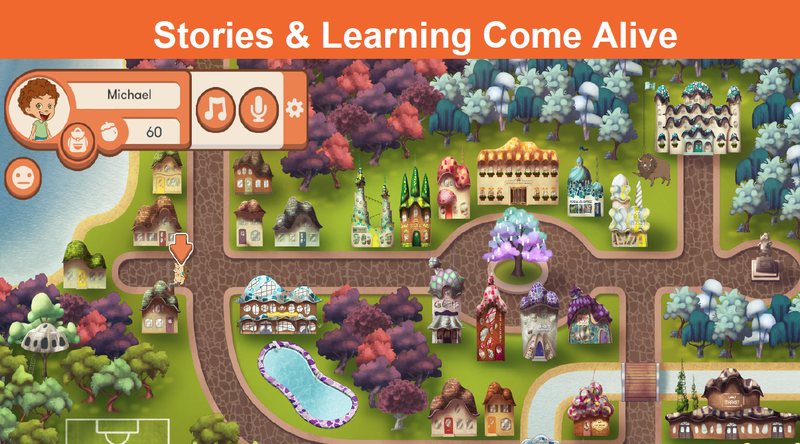 These include Teacher Pro, where they can access our curriculum, stories and parent updates and, Classroom Pro, where they get everything with Teacher Pro plus student access to myPeekaville, Peekapak’s interactive, digital learning activities and stories. JM: What are the Results so Far? AS: Early research shows we are improving outcomes on a number of social-emotional learning skills such as self-regulation (+46%), empathy (+35%), respect (+39%), teamwork (+27%) and perseverance (+55%). But, beyond the learning outcomes, students are falling in love with the characters and stories and look forward to learning with Peekapak. In fact, 92% of our teachers agree that their students find a lot of enjoyment from the characters in the series. They are very relatable and reflect the real-world diversity they are seeing in the classrooms. JM: Where do you see your Future? Peekapak strives to build a more equitable and inclusive world that embraces the diversity and uniqueness of each citizen. Our vision for the world is represented by Peekaville, a fictional world Peekapak has created, where different ethnicities, socio-economic backgrounds, skills and interests, and temperaments are reflected, valued and appreciated. Furthermore, as leaders in the community, we embody these values in our workplace and in our collaborations with our stakeholders. We do this by seeking out staff, partners, advisors, and customers with a diversity of backgrounds and experiences. We are working together to create a more just and inclusive society, starting with the values we instill in young people.